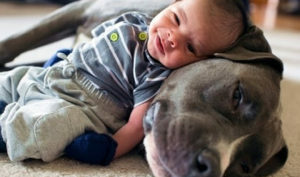 It’s taken a while but all the mythology about pit bulls being a “dangerous breed” of dog is losing its luster. In Satfford, Kansas for example, cops are thrilled about their new co-worker. That would be Kano- a stunningly handsome animal. Kano just notched his first drug bust recently. 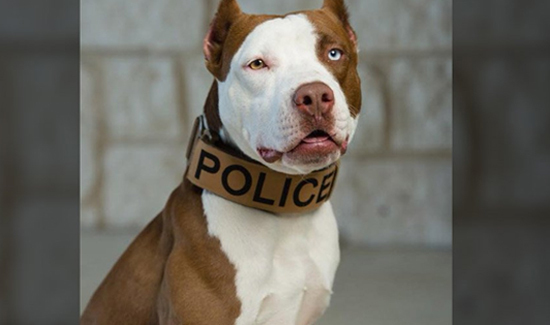 “Anyone who watches him (Kano) work can and will see the drive this dog has, not only that but how incredible these dogs are,” the Stafford Police Department posted on Facebook. Kano’s handler, Officer Mason Paden, said he knows there are still some people that get nervous around pit bulls. But if anyone can change those hearts and minds it’s Kano. Meet the team in this video.